There is never a shortage of fun Do-It-Yourself (DIY) projects to try. You can get into making jewelry, fixing things around the house, or building something new from scratch, all with the right DIY tutorials and tricks only a few clicks away. However, DIY projects are not without their challenges. Many who try DIY projects end up not completing them; you don’t want to end up with several incomplete projects, do you? To help you become a DIY master, we are going to talk about the top 5 secrets in this article and help you get started. 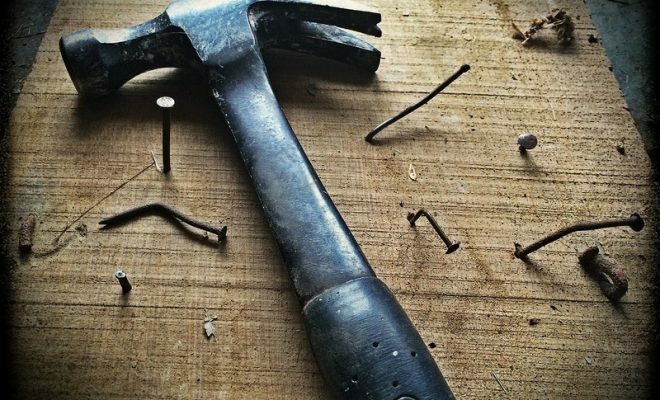 Most DIY projects can be completed using the tools you already have around the house, but it is important that you have the right tools before deciding to start a project. Certain projects require you to have specific tools – such as a jigsaw or a certain type of pliers – to perform specific tasks. Not having the tools for the job is the most common reason why DIY projects get abandoned. Patience is another important thing to have when you want to get into doing DIY projects. While a lot of the projects can be completed in a matter of minutes, the more challenging ones may take up several days of your time. Worry not, because you don’t have to complete the entire project in one go. In fact, longer, more complicated DIY projects are great for filling several weekends with fun activities to do. Never hesitate to ask for help whenever you need it. After all, you have your partner, close friends, neighbors, and relatives ready to help you with your projects. There is nothing wrong with asking for help either; not all DIY projects can be completed on your own. Another great way to approach a project is by getting your partner or the kids involved from the beginning. It can be a joint DIY project and a fun activity for the entire family. Some DIY projects are even designed to help children master new skills along the way. Never go over your skill level. If you know nothing about electrical installation or wiring, for instance, taking on a light fixture installation as a DIY project may not be the best thing to do. It is much better to take the time and learn the skills first before starting your own DIY project. You can always choose a project that suits you perfectly. DIY resource centers such as DIY Experience are filled with projects and tutorials that suit people of different skill levels, including the most inexperienced beginner. That first DIY project you start is very important. A lot of DIY enthusiasts became attached to doing DIY projects for one simple reason: they love the sense of accomplishment they get after completing that first project. So, pick a suitable first project to take on and see it through. Once you are done with your first project, you’ll be busy searching for more DIY things to do in your spare time.